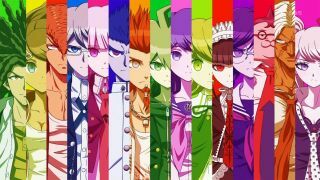 Danganronpa, the Zero Escape games and more. You can pick up a bunch of great visual novel games like Danganronpa and the Zero Escape trilogy in the Spike Chunsoft sale on Steam, but only until tomorrow. Every entry in each series is discounted. Last year's Danganronpa V3: Killing Harmony is 50% off, at a more reasonable $30/£25, while the first two entries are just $8/£6 each. The entire Zero Escape trilogy is also available in a bundle for 51% off, while 2016's Zero Time Dilemma is 50% off. On a non-visual novel note, you can also pick up Fire Pro Wrestling World for 20% less, a game which was the subject of this excellent diary feature by Matt Elliott. Both Zero Escape and Danganronpa figure into Hannah Dwan's list of the best visual novel games on PC. "Zero Escape is grim, but the story is fascinating and well told. Choices you make result in different endings, and the games play into it in a way no other visual novel really has." Katharine Byrne gave the first two games a 90% in her review last year, in case you needed more convincing. Danganronpa, meanwhile, got this endorsement in our best-of list. "All of the writing and character designs are funny, a contrast to the grim atmosphere of a game about students murdering each other in fits of desperation, with the mysterious and antagonistic Monobear egging them on in crueler and crueler ways." Andy Kelly also gave the first game a strong 86% in his review. Check out the full list of discounts here.